Game of Thrones is on hiatus, which means there's an opportunity to explore new fantasy series while you wait (and wait, and wait, and wait) for the next volume in George R.R. Martin's A Song of Ice and Fire series. Robert Jordan's Wheel of Time series began with The Eye of the World (1990) and concluded in 2013 with A Memory of Light, written by Brandon Sanderson based on Jordan's notes (Jordan died before completing the book). The series is the definition of epic: 14 volumes, 11,916 pages, 4,410,036 words. Jordan's world-building is grandiose, his characters distinctive, and his magic believable--if sometimes a tad convenient. Readers willing to power through to the final volumes will be rewarded by a story of good vs. evil in a land filled with spellcraft and strange creatures. Brandon Sanderson has also proved skilled at creating worlds of his own. The Stormlight Archive series began with The Way of Kings in 2010 and continued with Words of Radiance in 2014--the first two in a planned 10-volume series about war, magical weapons, grand battles and more characters than one can possibly track. Buckle in for what promises to be an epic that could rival the worlds of the Wheel of Time and A Song of Ice and Fire. "Literature is a never-ending, overlapping, sometimes circular conversation--between writers, between readers, between books themselves," Flavorwire observed in highlighting "10 great books based on other great books." Quirk Books recommended "five books that we'd love to see as Choose Your Own Adventure novels." Conceding that "everybody knows that most dystopias are kind of contrived," io9 suggested "10 lessons from real-life revolutions that fictional dystopias ignore." "A writer is a world trapped in a person." This bit of wisdom from Victor Hugo is just one of "15 delightfully inspirational quotes from great writers" featured by Mental Floss. "Top dogs: 10 literary canines" were showcased in the Guardian by Mikita Brottman, author of The Great Grisby: Two Thousand Years of Exceptional Dogs. "Let's talk bookshelves. Both practically and impractically," Buzzfeed wrote in highlighting "35 things to do with all those books." Julia Keller is the author of Summer of the Dead (Minotaur), the third novel in her series featuring prosecutor Belfa Elkins, who returns to her Appalachian hometown with hopes of stemming the tide of illegal prescriptions drugs. 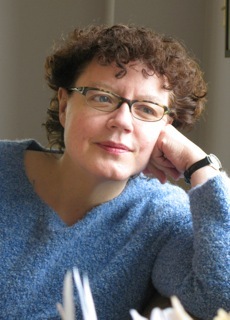 Born and raised in Huntington, W.Va., for many years Keller was chief book critic at the Chicago Tribune, where she won a Pulitzer Prize for feature writing. She has taught writing at Princeton University, the University of Notre Dame and the University of Chicago. In Paradise by Peter Matthiessen, Tigerlily's Orchids by Ruth Rendell, The Seven Pillars of Wisdom by T.E. Lawrence and The Poacher's Son by Paul Doiron. A Wrinkle in Time by Madeleine L'Engle. This spooky, mesmerizing story grabbed me back then and haunts me still. I remember being completely besotted by it; I couldn't get its rhythms out of my head. Willa Cather, Iris Murdoch, Sylvia Townsend Warner, Gore Vidal and Virginia Woolf. Why fake it? That's like picking your own pocket--the only loser is you. I'd be far more likely to claim I haven't read a book that I actually have read. Why? Because when a friend recommends a book, I don't like to snap back, "I've read it, thanks." That makes me sound like a smarty-pants. The Sea and the Silence by Irish author Peter Cunningham. This is a spare, exquisite novel that builds to a shattering emotional climax. I found it by sheer happenstance, and now force it into the hands of everyone I meet who appreciates a masterfully told story with a sweeping lyrical intensity. Small Crimes in an Age of Abundance, a story collection by Matthew Kneale. The cover is devilishly clever; it looks as if someone has taken a small knife and cut out a [letter] from the title, in order to swipe it. At first, I thought the cover had been vandalized--that's how realistic it is. And the stories are wicked, pungent little moral dramas. The Song of the Lark by Willa Cather. No other novel captures so well the yearning of youth, the sustaining joy of hard work and the ephemeral nature of love. I reread this book every few years and always find new reasons to revere its quiet, austere, restless beauty. This seems to change daily, but right now, it's from Fludd by Hilary Mantel: "He heard the mournful shunting and the calls of trains, the feet of night porters on the stairs, the singing of a drunk in St. Peter's Square: he heard ragged breathing from a hundred rooms, the Morse chattering of ships at sea, the creak and scrape of the pivot as angels turned the earth." Oh, the agony! Anyone who answers this question honestly is just asking for trouble, leaving herself open to instant psychoanalysis. Okay, here goes: it's a tie. The deeper I go into Sue Grafton's series of alphabet mystery novels, the closer I feel to Kinsey Millhone, her resourceful, wisecracking--and just plain wise--protagonist. But I also feel a strong kinship with Quirke, the moody, hard-drinking Dublin pathologist in John Banville's series of crime novels that he writes under the pen name Benjamin Black. The latest, Holy Orders, is suffused with gloom and fog and black webs of regret--just my cup of tea. I remember the sweet agony of reading The House of Stairs by Barbara Vine--really Ruth Rendell--with a swoop of feverish intensity. I was half-afraid to keep going but fully unable to stop. The novel exerts a strange hypnotic power far beyond the usual crime-novel compulsion to find out who did what to whom and why. It's almost diabolical in its appeal; time disappears, the edges of the real world dissolve as you read, read, read. To be so completely under a book's spell is rare indeed, and I'd love--or is it fear?--to be back in that place, opening the first page of this entrancing novel for the first time. Lovers of fiction will enjoy plunging headfirst into an offbeat collection of thought-provoking short stories. This tapestry of vignettes by Monica McFawn, which won the Flannery O'Connor Award for short fiction, is an alluring debut: the 11 stories are simultaneously quirky and achingly resonant. "Out of the Mouths of Babes" packs a creepy, revelatory wallop, as a wise-beyond-his years kid manages to solve various crises via telephone for his whiskey-swilling, debt-ridden babysitter. The skillful role swap of child and adult is a reminder that children's cleverness cannot be underestimated, and the ending is equal parts startling and satisfying. In "Key Phrases," a manager struggles with his inability to fire Mol, his terrible employee who skips work and stockpiles mounds of dead flowers in her office. Another memorable story, "Line of Questioning," introduces a lonely poetry professor delighted by the attention he gets from local police when he's suspected of murdering a former student. "The Chautauqua Sessions" finds a once-great songwriter's life upended by the invasion of his drug addict son. Discover: A Flannery O'Connor Award-winning collection of short stories from an intriguing new voice in fiction. Set in bohemian Greenwich Village in the mid-'70s, Dylan Landis's debut novel will transport readers through time to witness young artist Rainey Royal's haunting coming-of-age. Possessing a captivating sexuality, 14-year-old Rainey hits on her teachers, torments her fellow students and attracts attention wherever she struts. Home is no refuge since her mother skipped town, leaving her with Rainey's eccentric yet charismatic father, Howard, and his lecherous best friend, Gordy, who sneaks into Rainey's bubble-gum-pink room each night. Their brownstone is a revolving door of young musicians who share Howard's love for music... and his bed. This is hardly a stable upbringing for a love-starved teen, but in Landis's deft hands it's the perfect setup for a riveting story. Rainey takes comfort in a passion for art and two female friendships that are no more functional than her home life. Her best friend, Tina, may or may not be sleeping with Howard, and the controlling Leah is desperate to rescue the troubled Rainey from herself. Still the three navigate (and sometimes flounder in) the murky water of their adolescence and young adulthood with surprising results. Discover: An intriguing debut novel about a complexly rebellious artist coming of age in 1970s Greenwich Village. James Ellroy's Perfidia is a re-creation of Los Angeles during the weeks after the Pearl Harbor attack, when racial tensions were at a high boil and chaos raged in the streets. The novel begins with the grotesque crime scene of a dead Japanese family on December 6, 1941, the result of either actual or staged seppuku. A number of cops converge on the scene: Captain William H. Parker, a sin-obsessed Catholic and rank careerist; Sergeant Dudley Smith, a homicidal Irish tough guy (known to fans of L.A. Confidential); and brilliant police chemist Hideo Ashida, who is held in low regard by the others because of his race and the hidden nature of his sexuality. They all try to solve the crime while simultaneously fighting each other as Los Angeles explodes around them in an incendiary mix of racial loathing, war fever and the lurid vice that Ellroy excels at portraying. Discover: An ambitious, page-turning novel of Los Angeles during the weeks after the Pearl Harbor attack. Fans of Mexican fare may want to dive right in to the nearly 100 recipes in Tacolicious, but they should savor the introduction by San Francisco food writer Sara Deseran, who nervously opened a taco stand with her husband, Joe Hargrave, in 2009. Four Bay Area restaurants, one tequila bar, and a still-thriving food truck later, she celebrates their success with Tacolicious, transporting the unusual flavors of their restaurants beyond California. With Deseran's clear instructions, it's fiesta time in any kitchen. Divided into four sections of salsas, snacks, tacos and drinks, this cookbook will inspire even those new to homemade Mexican food. Conversational lessons on basic techniques and insights into Mexican food traditions give the sense that the successful restaurateurs really want to help the reader. Discover: This cookbook brings Tacolicious cuisine to any kitchen, by the founders of the San Francisco Mexican restaurants. Unflinching, tragic and compassionate, Her Beautiful Brain is a memoir about how Ann Hedreen's life changed when her mother was diagnosed with Alzheimer's disease. She opens in 1969 with the image of the typing class she took at age 12--the mandatory "The quick brown fox jumps over the lazy dog" exercise burned into the mind and fingers of anyone who's ever taken a typing course. This flashback transforms into an extended metaphor for gender, class and identity as Hedreen muses about the secretarial path she and her mother shared at the start of their lives before they found their own vocations: "For all the generations of women who typed to feed their children, to get through college, to survive, the words Quick Brown Fox said struggle and survival. They said that this life does not deserve to end in the jammed keys and black ink of Alzheimer's disease." Discover: How one woman's experience with Alzheimer's shaped her daughter's life. At 23, Caitlin Doughty had an undergraduate degree in medieval history and a lifelong fascination with death. Interested in turning her preoccupation into a profession, she eventually secured a position as crematory operator at Westwind Cremation & Burial in Oakland, Calif. In just a few months, she learned how to cremate bodies (do the larger people early in the day, babies at the end), what exactly happens after the oven (bones have to be ground down in a special blender to create the uniform ashes the family expects) and how to pick up a recently deceased body from a family at home (mostly, keep your mouth shut). She learned that dead people aren't really scary, once you get used to them, and came to believe that wired jaws and copious makeup are less attractive and less respectful than simply letting the dead look--and be--well, dead. Discover: A young woman's entertaining, thought-provoking memoir of her career in a crematorium and her fascination with death. The Plantagenet family ruled England for more than three centuries, and its historical legacy continues to mark English history, literature and the popular imagination. William Shakespeare immortalized six Plantagenet kings in his history plays, and the recent discovery of the remains of the last Plantagenet monarch, Richard III, has rekindled interest in the redoubtable family and its history. In The Demon's Brood, Desmond Seward (The Last White Rose: The Secret Wars of the Tudors) provides an introduction to the Plantagenet line--and he does so with a vengeance. The "wolfish, half-crazy" King John is "arguably the worst king in our entire history." Henry III is "amiable but disastrously inept," Richard II "effete" and "narcissistic," and Edward II summed up in a single word: "abysmal." Seward mingles his own evaluations of each monarch with equally colorful reports from their contemporaries, injecting humor and verve into a past that is anything but dusty in his hands. At the same time, Seward never loses sight of historical context. Included in the "colorful" accounts are careful evaluations of both contemporary and secondary sources. Seward notes, for example, that historical opinion on King John has varied widely over the centuries, from "worst king ever" to "not so bad, actually" and back again. Discover: A short, clear, clever overview of the Plantagenet family, England's longest-ruling dynasty. The thousands of years of traditions, culture and history of the indigenous peoples in what is now the United States are not widely told. Even in his bestselling attempt to tell the history of the U.S. through the eyes of the common man, Howard Zinn failed to give the same weight to the experiences of the Native people as he did to those of the settlers. Drawing on historic documentation in addition to years of research and interviews, An Indigenous Peoples' History of the United States reframes textbook U.S. history--written by European settlers and their descendants--and gives a voice to those who lived here first. Discover: A history of the U.S. that gives a voice to indigenous peoples. Pacifism and the "plain" lifestyle are hallmarks of the Amish for most Americans, but in 2011, violent Amish-on-Amish terror shook one corner of Ohio, leading to a 2012 federal criminal trial and convictions based on the Matthew Shepard and James Byrd, Jr. Hate Crimes Prevention Act. Ohio is home to the lion's share of the U.S.'s 2,100 Amish congregations. Levels of conservatism vary, but beard-wearing (for men) and concealed long hair (for women) are standard, based on biblical principles. Convincing a handful of followers to join him, Bishop Samuel Mullet founded the ultra-conservative Bergholz community about 100 miles southeast of Cleveland in 1997. After church elders decried his stern, controlling behavior in 2006, Mullet became increasingly vengeful. He was convicted by the federal courts in 2012 for fomenting hate crimes: directing followers to cut the beards and hair of those who rejected his leadership. Scholar Donald B. Kraybill (The Riddle of Amish Culture) provides the background of Amish history and tradition and national legal precedent that led to the convictions of the autocratic leader and 15 of his followers. His thorough research details the splintering of the Amish community that led to the attacks, the investigations and ultimately the trial. Discover: Detailed coverage of a bizarre hate crime in an Amish community and the landmark federal trial that followed. Former Yale professor William Deresiewicz's Excellent Sheep is a cutting and timely critique of post-secondary education in the United States. His argument: universities are broken. The breadth of attendees' socioeconomic backgrounds is narrowing, leading to an elite class of cookie-cutter graduates, scrambling to please others instead of developing the ability to think independently. Deresiewicz (A Jane Austen Education) believes universities produce people who have academic degrees but lack a sense of self and a foundation for learning later in life. This book provides a thorough overview of how the modern use of scores and grades to find qualified students is related to (and as harmful as) historical exclusionary admissions practices. Furthermore, Deresiewicz maintains that the current focus on high test scores and correct answers not only damages an individual's ability to live a meaningful life but also perpetuates a class-based meritocracy that is detrimental to society as a whole. Discover: A scathing critique of American higher education that asks what type of people we want post-secondary institutions to produce. Can the man behind Press Here match the pure genius of that book's simplicity? Yes! "Right again!" as the returning narrator-coach might say. "Tap that gray spot. Just a little, to see what happens," the book begins. With a turn of the page, readers see that tapping has released a flurry of dots, moving so rapidly that the blue, red and yellow spots leave tails behind them. Yet the gray dot remains placidly in the center of the right-hand page. "There they are!" exclaims the enthusiastic unseen narrator. "But don't they seem a bit shy? Tap it again." A turn of the page reveals a fireworks display of dashing dots in an array of colors. Hervé Tullet always knows when to alter the conversation. He asks children to place a hand on that densely populated page and "count to five," eyes closed. A child-size handprint appears, like a tree, with the colors emanating from it like rainbow-colored leaves: "Yes! You've got the magic touch! Let's mix it up!" Tullet turns orderly as he teaches children that blue touched with yellow and rubbed "gently" makes (with a turn of the page) green, and follows with other secondary colors, and the effects of adding white and black. The hand print ("count to five") serves as a farewell refrain. Discover: This follow-up from the creator of Press Here rivals the original's genius simplicity and playfulness, teaching the properties of color along the way. In Kelly Light's energetic first picture book, she introduces a young artist who's driven to draw. Louise notices everything and wants to capture it on paper. Sprawled on the floor, she uses her trusty pencil to create her masterpieces, while her younger brother, Art, takes up a red crayon as well. Sometimes he gets carried away (initially, only the cat notices his changes to Louise's "pièce de résistance"). This frustrates his big sister at first, but, eventually, Louise encourages her brother’s artistic endeavors alongside her own. The color palette (mostly black, white and red) and clever use of white space direct readers' focus to the important details and move the story along quickly. Readers will enjoy the playful visual references to a cat posing like Rodin's The Thinker, which appears in a two-page spread as Louise explains to readers the importance of noticing every detail. (Adults may note that Louise is named after the sculptor Louise Nevelson.) Light manages to create a character that seems a product of an older time (check out the kitchen images) but also freshly contemporary with her layered shirts, leggings and mod red glasses. Discover: A portrait-of-the-artist-in-all-of-us tale that will spark the imagination, from a debut talent to watch.